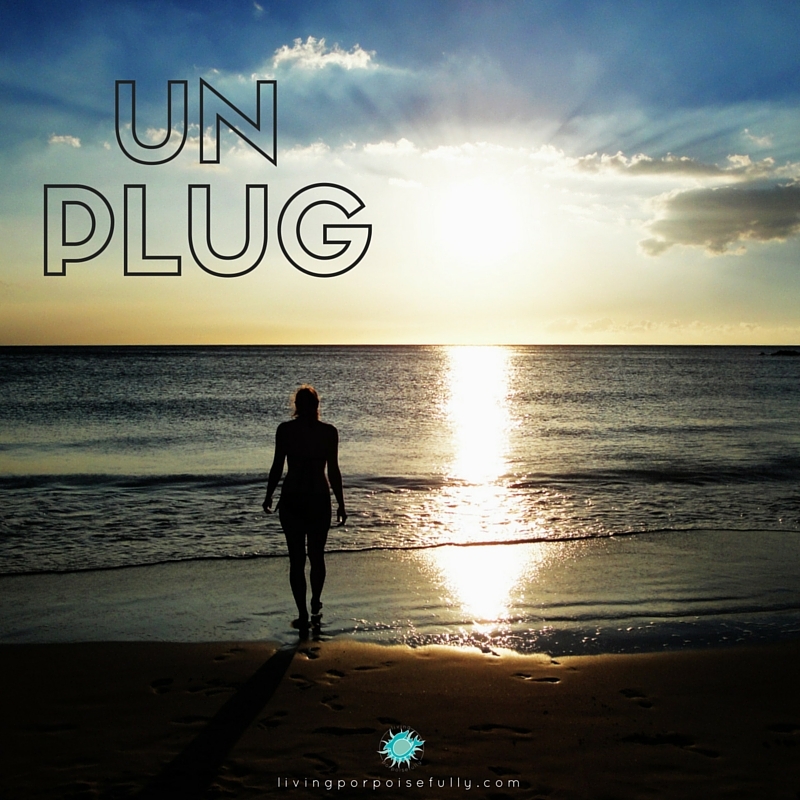 Have you taken some time this summer to fully unplug? If not, it’s time to take a break from the go-go-go that can easily sneak up on you! Take a breath and unplug yourself from all of those things that make you feel like you’ve got to be doing something. We decided to unplug ourselves just this past week (that’s why we missed last week’s post! ), and have been soaking in the little things that often go unnoticed: the iridescent blue hues on the dragonflies zipping here and there, the pair of cardinals in our backyard flirting with each other, and the lightning bugs putting on a light show on our patio in the evening with their spontaneous flashes. It’s often the simple things that bring us back to ourselves and give that sense of wonder and awe for life itself! And what’s more, when you unplug for a little while, the rejuvenation brings a much greater energy and enthusiasm for doing what brings you joy. So before summer slips by, take a few days or a week and let yourself unplug from the go-go-go as much as you can. Soak in what summer’s all about! Oh yes!!! Grandkids rank at the top of the simple pleasures that unplug you in the best of ways by plugging into them, don’t they! Thanks for adding your recommendation, we wholeheartedly agree. Enjoy! !